Everything is great now just waiting to get checked again. We have our bets placed on how dilated and how effaced. 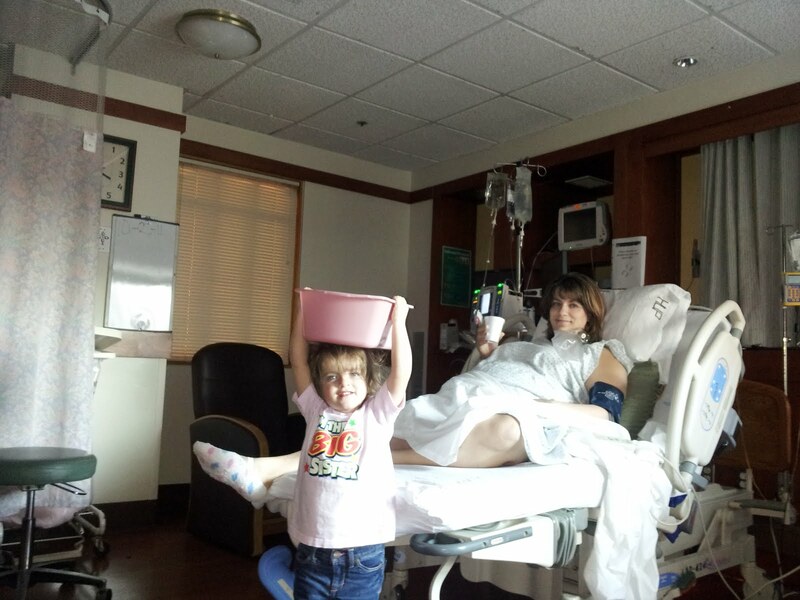 I have no idea what I am betting on but they let me play along Shes feeling the baby lower so hopefully we are getting to the finish line. Delilah is now in charge of the puke bucket! This is MeMe (Melodye). Just want you to know we are praying for all to go well. Give each other a hug for me and let me know when you need the cottage again! God Bless all of you especially baby Olivia!! Delilah is standing upside down. the puke bucket on her head. OH MY!!! PRAYING WITH ALL MY HEART FOR MELANIE AND HER SURGERY. HOPE IT IS JUST LAPORASCOPIC AND THEY CAN FIGURE OUT WHAT IS GOING ON WITHOUT AN INVASIVE SURGERY. PRAYING THAT GOD GIVES YOU STRENGTH BRETT AND STRENGTHN FOR MELANIE TO GET THROUGH THIS SET BACK. WE ALL HAVE OLIVIA IN OUR PRAYERS AND SHE GETS BIGGER AND STRONGER FOR HER SURGERY ON NOVEMBER 9TH.